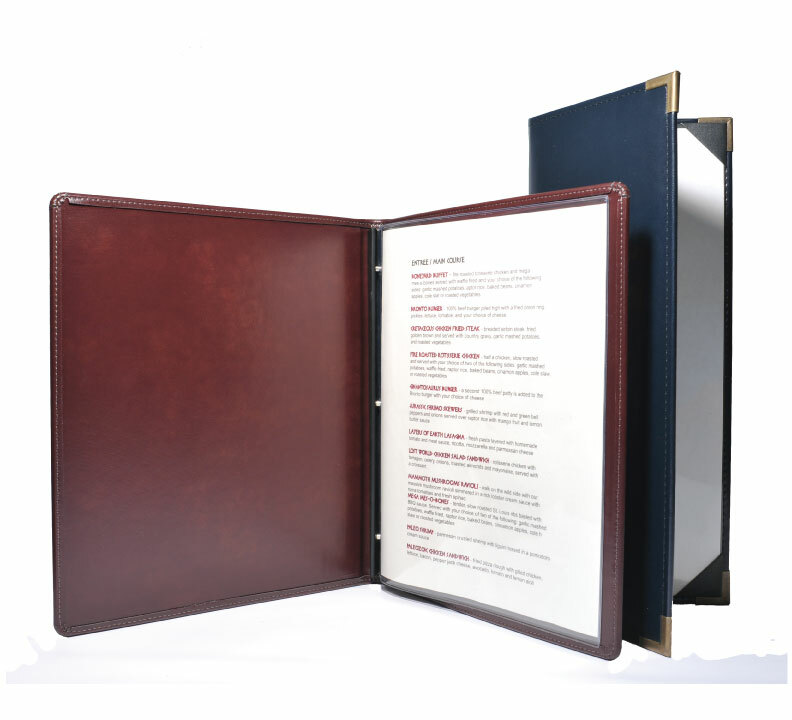 The deluxe naugahyde menu covers are available in many styles and designs and share many common features. The exterior of all these covers are constructed with a deluxe naugahyde exterior glued over padded or rigid board with sewn edges. The edges are turned and stitched with your choice of a square plain corner, square metal corner and round Euro corner. Your menu cover can be personalized with foil stamping and/or debossing of your logo. The stamping and engraving is included up to 25 square inches or order of 25 or more.